Allow us to welcome you to Eyecare Associates, the Optometry office of Dr. Angela Hill and Dr. Kris Hill. We take great pride in providing you with state of the art eyecare paired with personal attention from both our doctors and staff. Your quality of life is our goal and we believe healthy eyesight is vital to achieving it. Quality eye care with compassion is a hallmark of our practice. Giving that to each person is our goal and desire. We offer a full range of services including eye exams, contact lens services, LASIK consultation and co-management, designer frames and sunglasses, and eye disease management. 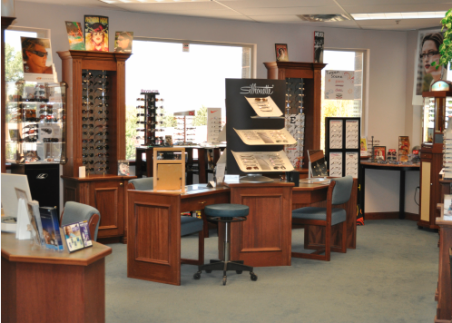 We look forward to the opportunity of serving you and your family's eye care needs. We are conveniently located in the Fort Union area in Midvale, near Cottonwood Heights and Sandy, and would be delighted to have you as a patient. "I came in last week and received an exam from Dr. Angela Hill. I have never received such a thorough exam! Dr. Hill was kind and explained everything in detail. When I met with her staff they measured everything about my eyes, I have NEVER received such a thorough explanation and exam. I will recommend Eyecare Associates to everyone!." "Thank you guys so much for seeing me last night. I cannot express how great it feels to know that when I have an eye emergency your team will fit me in at the end of your day, and still give me the best of care!!" - Dr. S. U. ​"You guys have an awesome staff and best doctor I have ever seen! Thank you for caring about my eyes." - S.A.
"My husband keeps walking around the house commenting on how everything is so clear now. He is so happy with his new glasses! And now I have made an appointment with you also." - J. D.